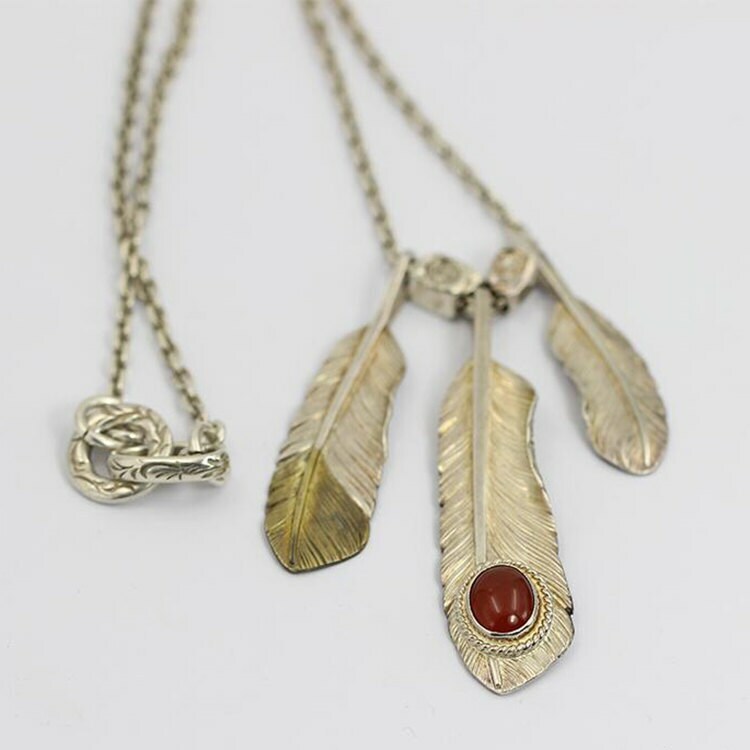 The silver feather necklace is built around a set of silver feather pendants. Each feather is 100% carved with hands - using chisels to create the feather details. 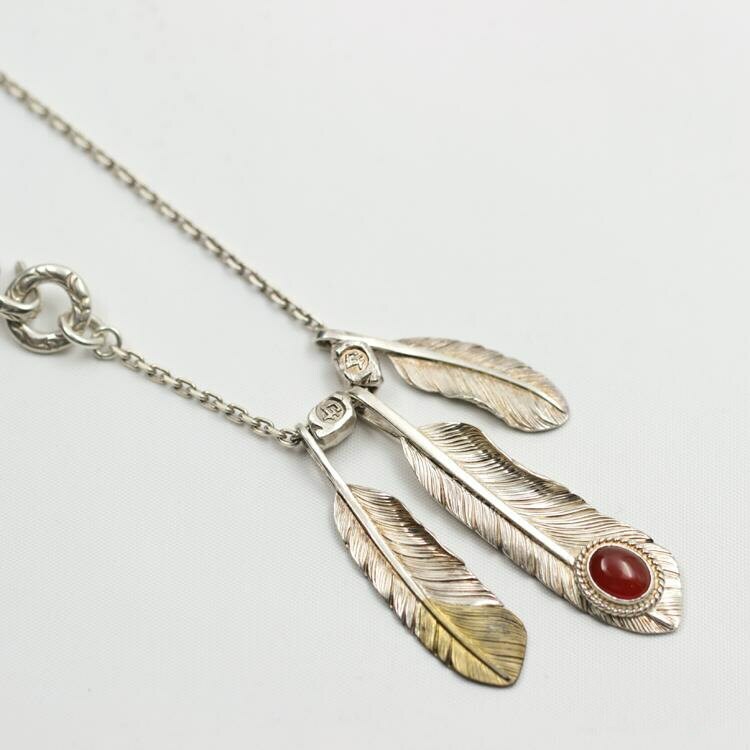 This piece of silver feather jewelry is a Native American inspired design. 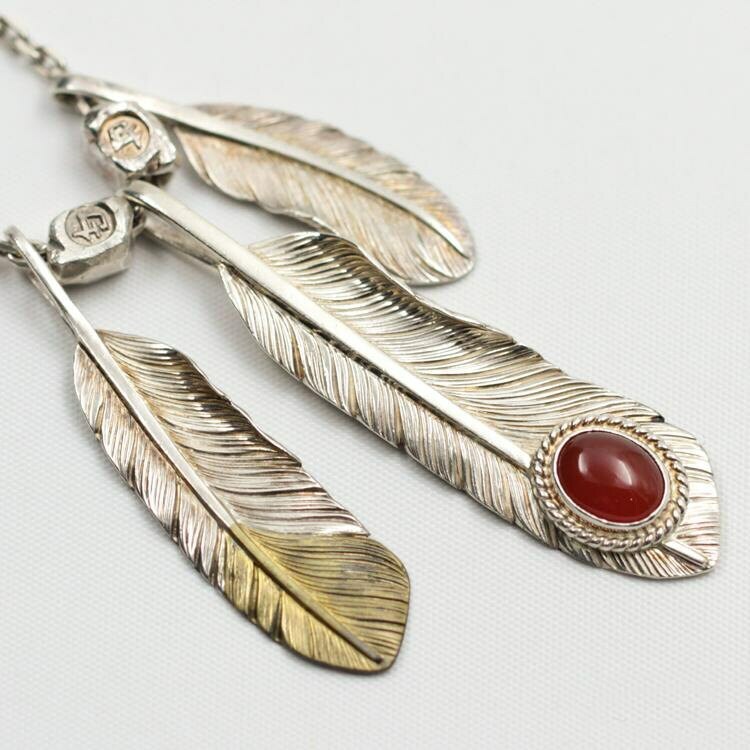 Of the three silver feathers, the biggest piece has an embedded oval, red Onyx embedded. The gemstone is not pasted to the feather surface using any adhesives etc - we have done it simply by fusing a silver wire around it. 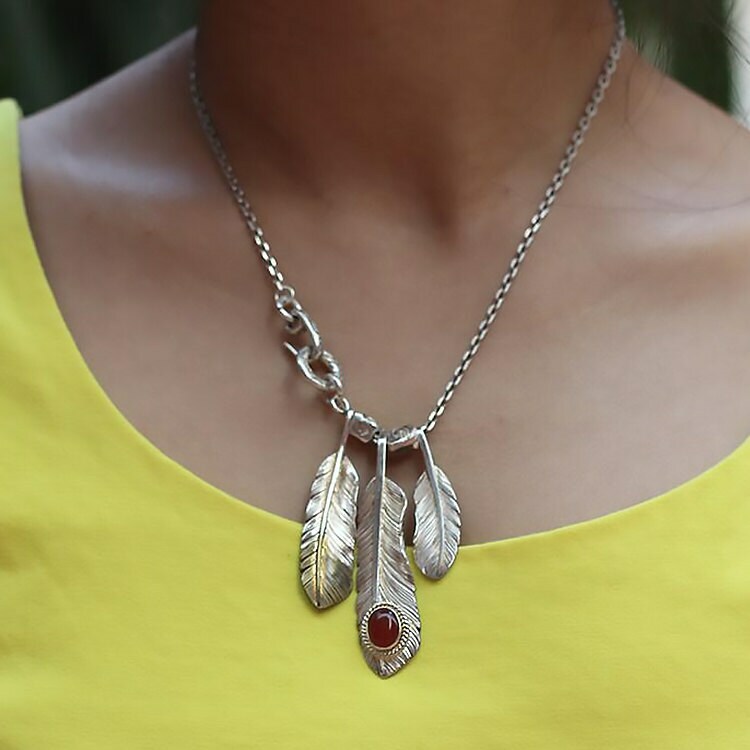 The medium-sized silver feather piece has a brass tip - adding a bit of golden zest to the severe grays of the sterling silver necklace. 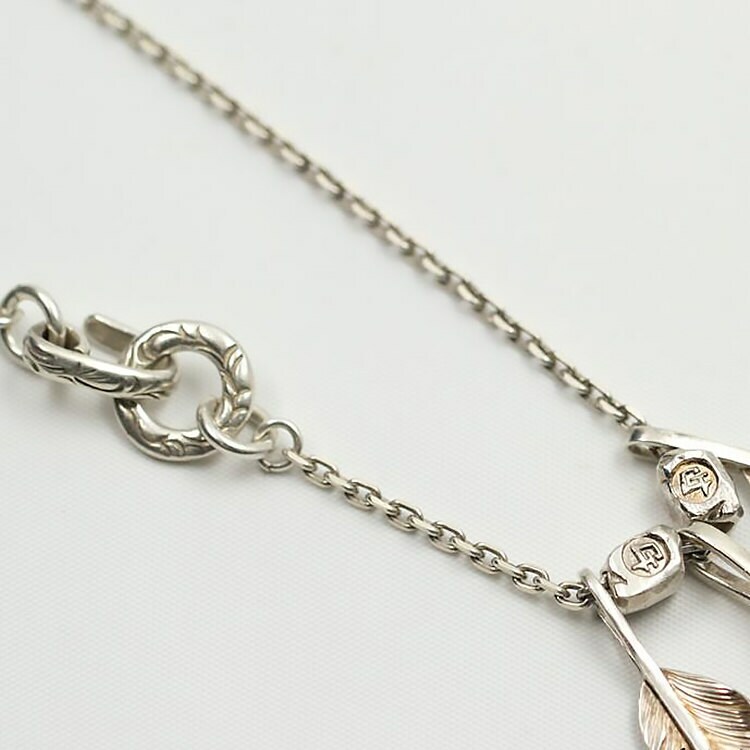 A couple of large silver spacer beads separate the feathers to create a good alignment, and also to add weight to the necklace so it fits properly. The silver chain is slim and lightweight, and closes with a hook and loop clasp. Both the hook and the clasp have subtle Arabesque carvings on them.